MONDSEE, Austria & DAVOS, Switzerland–(BUSINESS WIRE)–Clean water is precious. 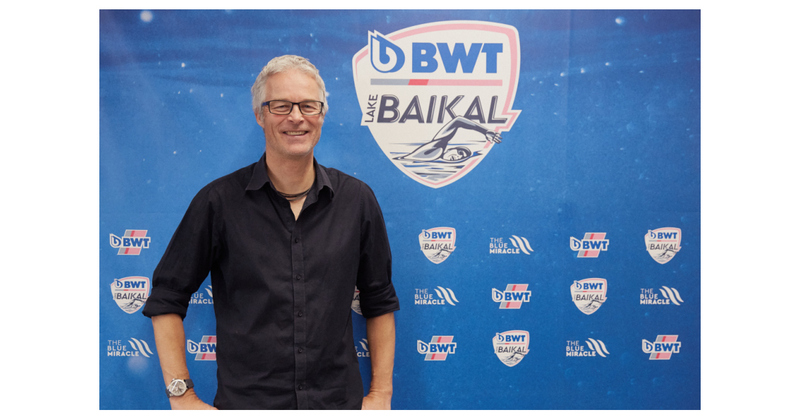 That’s the message that BWT — Europe’s leading water technology company — and extreme athlete Ernst Bromeis hope to spread with a spectacular expedition. Starting July 8, the Swiss athlete will swim 800 kilometers across Lake Baikal, the largest freshwater lake on Earth. BWT will be by his side as initiator and partner for the Lake Baikal project. “We want to give people food for thought and raise awareness of the fact that water is a resource worth protecting. BWT’s water purification solutions help reduce plastic waste and protect the environment with every sip. Consumers can cut their household expenses and do away with the need to lug home water bottles, all while doing their part for the environment. From table water filters to water filter units to faucets and compact water cooler solutions for the home, BWT’s pioneering magnesium technology turns good-quality tap water into outstanding Magnesium Mineralized Water,” says Lutz Hübner, Head of Marketing, BWT Group. The project will be launched today with a press conference followed by a discussion at the World Economic Forum in Davos. Bromeis plans to swim approximately 800 kilometers along the eastern shore of the Siberian lake, relying entirely on his own strength and without any assistance except for a team on land. Depending on this year’s spring in Siberia, he could be facing extreme conditions on the lake. In addition to the atmospheric conditions and water temperature, Bromeis will have to combat waves several metres high that can build up on the water. If his expedition succeeds within the 2 months planned — his health is, of course, top priority — he will be the first person to have swum the length of the largest freshwater lake on Earth. Bromeis’s swim will be no mean feat. Months of intensive planning will be needed before he can begin in July. BWT is already supporting him in this phase, taking care of marketing and offering its advice to help plan the expedition and work out the safest routes. The international company has a strong presence in Russia and can contribute crucial expertise and contacts. BWT will also be on the ground to support him during his expedition and take care of water purification and his drinking water supply, among other things. A number of other partners are on board, including the University of Basel, the university ETH Zurich, the Global Nature Fund’s Living Lakes initiative and the World Economic Forum. Ernst Bromeis has made a name for himself as a “water ambassador.” He has been working to encourage conscientious use of water since 2007 with his initiative The Blue Wonder. In 2008, he swam across 200 lakes in his native canton of Graubünden; two years later, he crossed the largest lake in each one of Switzerland’s cantons. And in 2014, he swam along the Rhine from its source to the sea. “We’re united by our passion for protecting water. We’re proud to stand by Ernst Bromeis’s side as a partner,” says Hübner. The Best Water Technology Group is Europe’s leading water technology business with a staff of 3,800 working on innovative, economical and ecologically friendly water purification technologies to provide private households, industry, commerce, hotels and municipalities with the safest, healthiest and most hygienic water possible for their day-to-day needs.